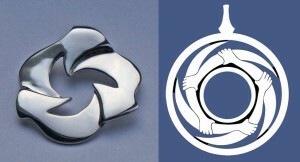 The following is an account posted on Facebook by Water Is Life. Protect It on July 26, 2018. Stand with Union Hill: The story of stark environmental racism gains and needs new allies to be told, to be shouted from the mountain top. 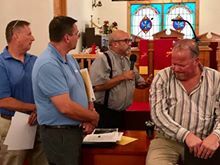 This week’s meeting [week of July 23, 2018] between Union Hill and Dominion/ACP brought new allies and a terrifying glimpse of a complete disregard for safety on the part of Dominion Energy. 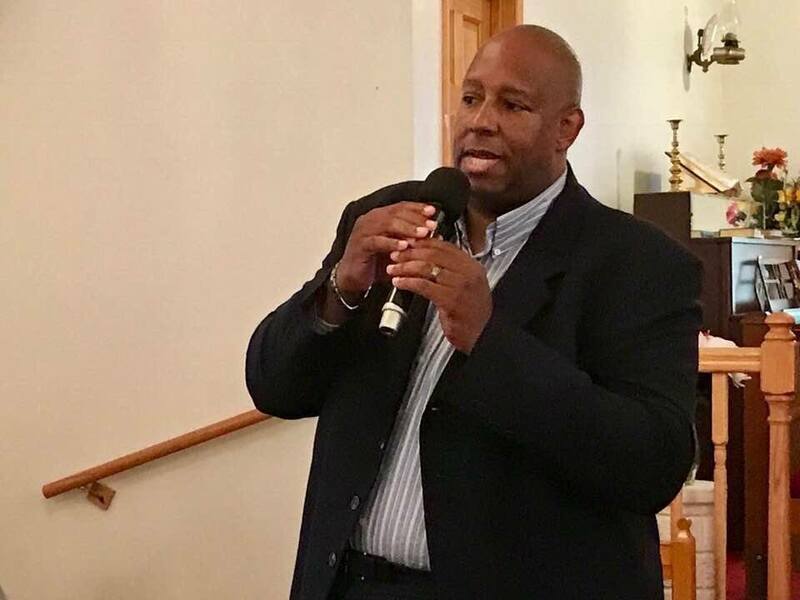 One Buckingham County witness wrote of the photos here: “Reverend Kevin Chandler, President of the Virginia NAACP came to Union Hill to announce that the powerful civil rights organization has taken a position against the ACP pipeline and the proposed Union Hill compressor station. The uneasy looking group of white men in the foreground of the next photo—those are Dominion executives. 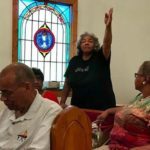 They and five others had come to a community meeting in Pastor Paul Wilson’s Union Hill Grove Baptist Church to try to reassure the African-American community that the compressor station and the pipeline would be safe and would not hurt them. However, they seemed increasingly anxious when they were asked to describe the size of the kill zone in the event of a pipeline leak or a compressor station disaster. They said they just couldn’t answer the question which they were asked in three different ways. 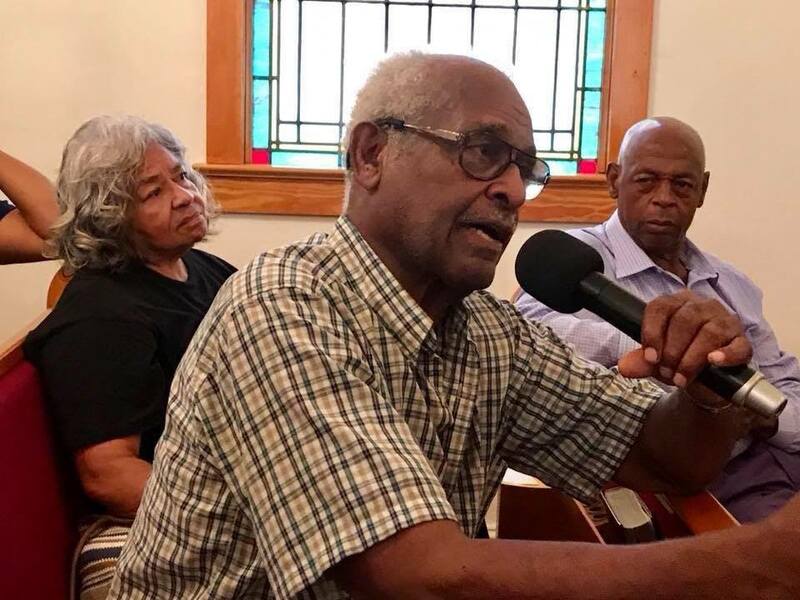 They also were forced to admit that they hadn’t even drafted their emergency response plan in the event that something were to go wrong at the compressor station they want to build in within yards of the homes of Union Hill—an historic African-American Community. 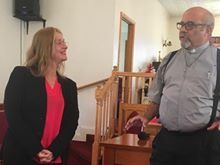 Meanwhile, a US Justice Department official, Suzanne Buchanan of the federal community relations service (with Pastor Paul) showed up. 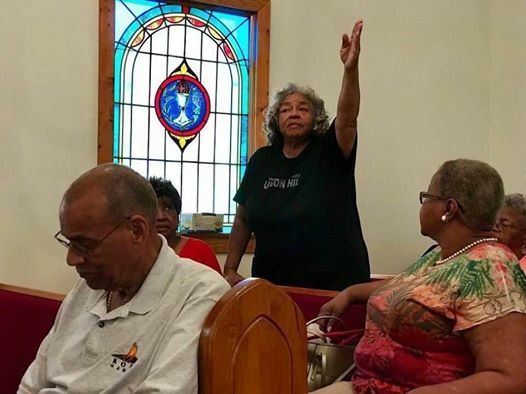 She said she realized that the people of Union Hill were feeling frustrated and unheard. She watched with what appeared to be astonishment when the dominion executives were unable to describe the dimensions of the Kill zone. If the people of Union Hill were skeptical and even frightened at the prospect of the compressor station and its pipeline coming to their community before tonight by the time the meeting was over they were much more wary. 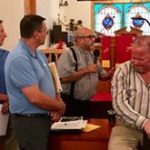 This entry was posted in Citizen Activism, Compressor Stations, Dominion, Environmental Impact, Environmental Justice, Events, Uncategorized on August 1, 2018 by Ellen Bouton.